As we work to ensure every Saint Paul child has access to a high quality public education, we constantly confront cuts to school and classrooms. Every year, we see district budget shortfalls and inadequate funding for our schools. Our district and community currently operate in a climate of perpetual worry about how to fund our schools. We live in one of the wealthiest states in the wealthiest nation in the world, but public resources are not shared with our schools. 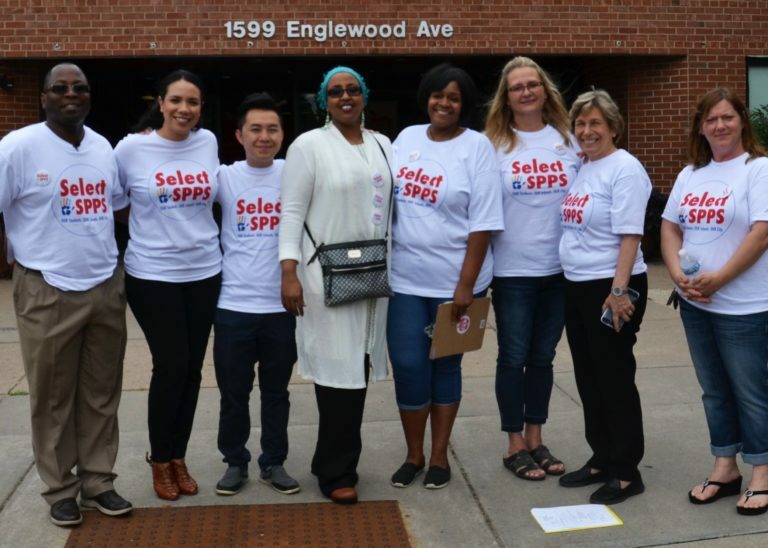 A critical step to keeping the promise of public education is all Saint Paul’s residents – corporations and wealthy nonprofits included – provide the financial resources to ensure our public schools are successful. SPFT’s Teaching and Inquiring about Greed, Equity, and Racism (TIGER) Team educates members, parents, students, and the broader community about how money is being stolen from our schools and our communities by our state’s largest corporations and wealthiest citizens. Made up of parents, teachers, and community members, the TIGER Team plans and leads actions supporting the reinvestment of those dollars into our schools and promoting more a racially equitable community. If you would like us to present to your staff, PTO, book club, or any other group or organization or if you want to get involved in the TIGER team yourself, email Nick Faber at nick@spft.org.